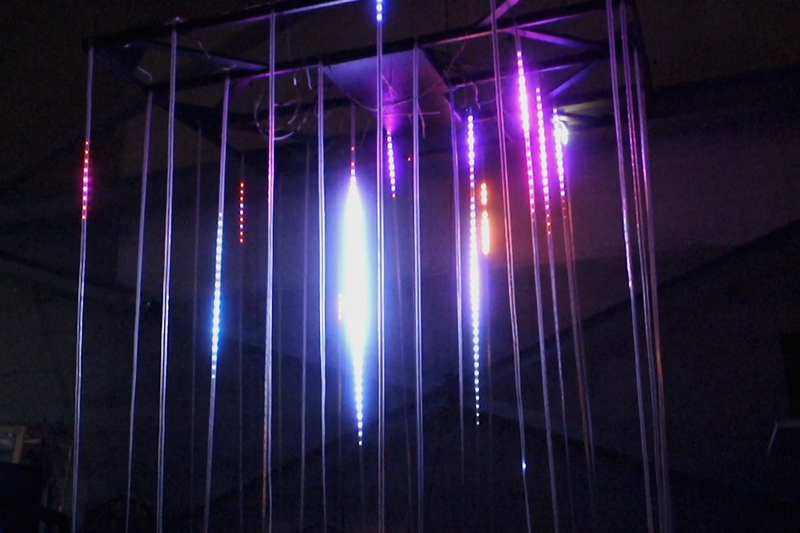 Sparklebox is a 3D volumetric LED cube. 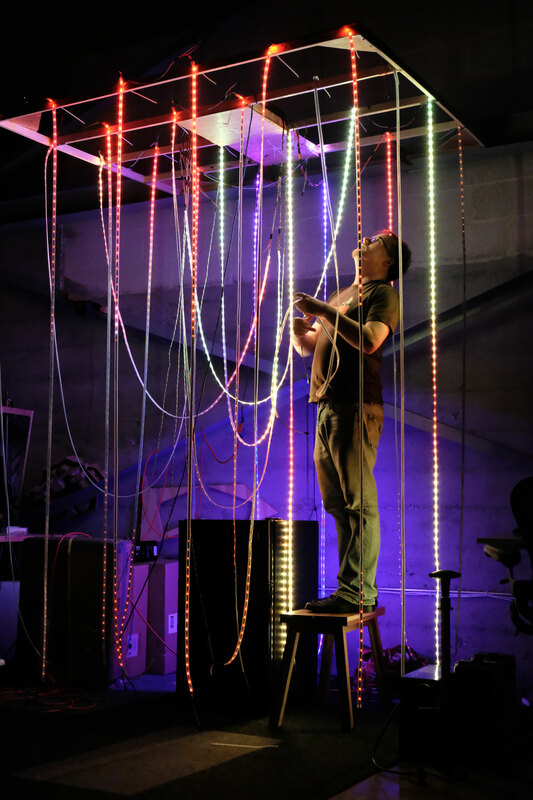 It renders 3D environments and animations on a 6x6x10 foot array of LED strings, turning geometric shapes, particle effects, and other lighting effects into voxels. 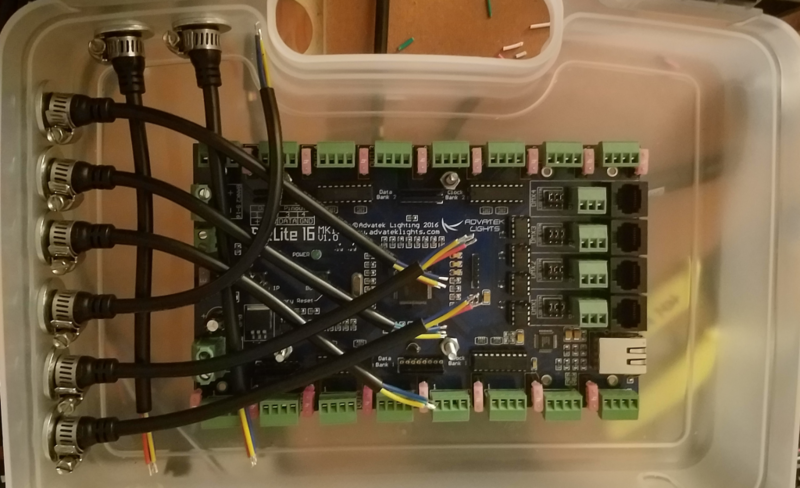 SparkleBox control module (a PixLite 16) being wired up– pipe clamps keep any strain on the LED strips from damaging the control board.